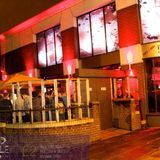 Bad Apple is a vibrant nightclub that has an eclectic music policy and a wide choice of drinks. "Best Bar None winners of the Best late night Venue for the Last two years running also winner of Best Customer Experience 2014. We are a light hearted party venue. We serve the widest range of Alcohol in Croydon, we have something for everyone. So come and get involved with us, the heart of Croydon." See our cocktail and shots/drink deals menus, available at the bar. Monday, Tuesday & Thursday £3 from 10pm. 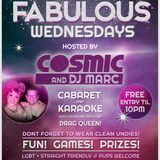 FABULOUS Wednesday £2/4 from 10pm. Fri-Sat £5 from 10pm until midnight £7 after. Last Amission is 2am and we close at 4am. ID Required. Special events entry fee(s) may change. 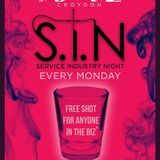 Groups, any bar staff from the Croydon area with an up to date payslip gets free guest list. 18+ members only venue, membership can be obtained on the day with valid photo ID. Smart casual dress code and ID is required. We are open six nights a week with DJs till 4am offering a different experience on each night! Please see our Opening times image in the gallery for night descriptions. For any further questions please FB Message us and we will get back to you as soon as we can. Thank you, Bad Apple Croydon. Private smoking area with heaters and benches. We also take party bookings to reserve a table please contact us via FB Messenger for a quick response or via our website. What did you think of Bad Apple? I would personally avoid the Bad Apple next time as the atmosphere was a little on edge and I didn't feel completely comfortable. Maybe try somewhere else next time - although have to day I enjoyed the music. Not a bad in club in Croydon, not always the friendliest crowd but always other options in Croydon if you don't fancy it. Would recommended Bad Apple though. I had a well good nite at bad apple! Went there for me mates bday init and they well looked after us! Bad apple was an interesting night to say the least, and lets just say i wont be returning anytime soon! I came to the bad apple as i was in the Croydon area visiting a mate and its not the best club but still had an alright night! Definitely go to Bad Apple for a great night out. I love going to this club whenever I’m out in Croydon. Bad Apple is always a good place to end up after a pub crawl and even to just finish off the night. Makes any night great. This night club it lit. Wicked tunes! Buzzing and lively atmosphere. Reasonable priced drinks. Lots of room to dance and chill out. Bar staff, management and security team are on point. Going back this coming Saturday. Loved it when they play dnb and techno last week. Nice surprise. This is a great place to go for a few drinks and even for the whole night. The bartenders are really good and friendly and work quickly. I love it at Bad Apple and always enjoy my night. Had a few good nights Bad Apple in the last few weeks. Use to avoid but gave it a go and now love it more than the other clubs in Croydon. Ended up in Bad apple after a pub crawl round croydon, banging night! Always seem to end up at Bad Apple - never intend too but one of those places we always seem to end up at. Drinks are not too expensive and decent music so perfect when you've had a few! I had a banging night at Bad Apple, the Croydon birds were off the chain! I had a cracking night at Bad Apple, the tunes were off the hook! went on my bessies birtday at bad apple, this place is really good as I have not been before as I don't live ner here. The music was soooooooooooooooo good!!!! I went to Bad apple for my friends birthday and had a cracker of a night, playing top tunes! i THINK that Bad apple is distinctly average, have been to mant places that are mush better! bad Apple was class at the weekend, well looking forward to a mid week party!!! Not overly impressed with bad apple, yes it has some hot ladies but the music choice was terrible!!! I have had some epic nights out but last weekend was a let down! Had a proper banging night at bad apple! Croydons finest were in the place! We shall make our return there very soon! 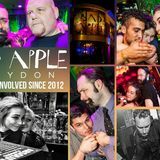 Bad Apple isnt as bad as what i had heard about it, living it the Croydon area it is somewhere to go and the drink prices aren't extortionate! What a club! Great venue, great drinks deal and the best beer garden at Bad Apple! Always love it here. Head down to Bad Apple if you like good music, good priced drinks, great atmosphere and wicked Dj's. My personal favourite hang out in Croydon. Bad Apple left a sour taste in my mouth! Very nervy atmosphere and couldn't totally relax. Might try another club next time. I recently held my birthday party at this venue and would recommend it to friends in a heartbeat. The door staff were very polite and we had arranged a small guest list for our party booking. When we entered the bar had been decorated for halloween, but the standard decor stands out as unique and eye-catching, especially for such a place in Croydon. The bar staff were friendly and helpful, and I ended up having an amazing birthday. Be sure to ask the bar staff for help choosing drinks - I was puzzled by the sheer amount on sale!! Bad Apple was awesome on Saturday. Bar is sweet, girls are great and music is always good whenever I’m here. I loved the place when it opened back in early 2012. The past 3-4 times however, it takes a good 45 minutes to be served. Barstaff do not keep track of who was waiting first and subsequently, you lose your buzz while waiting to be served in the crowded bar queue while dancey tunes are playing. This is a MAJOR downside for me as I usually love the tracks they play (lots of garage tunes), but if I have to spend up to 2 hours altogether queueing for drinks and having paid the £5 entry fee, no thank you. I'm taking my business elsewhere.